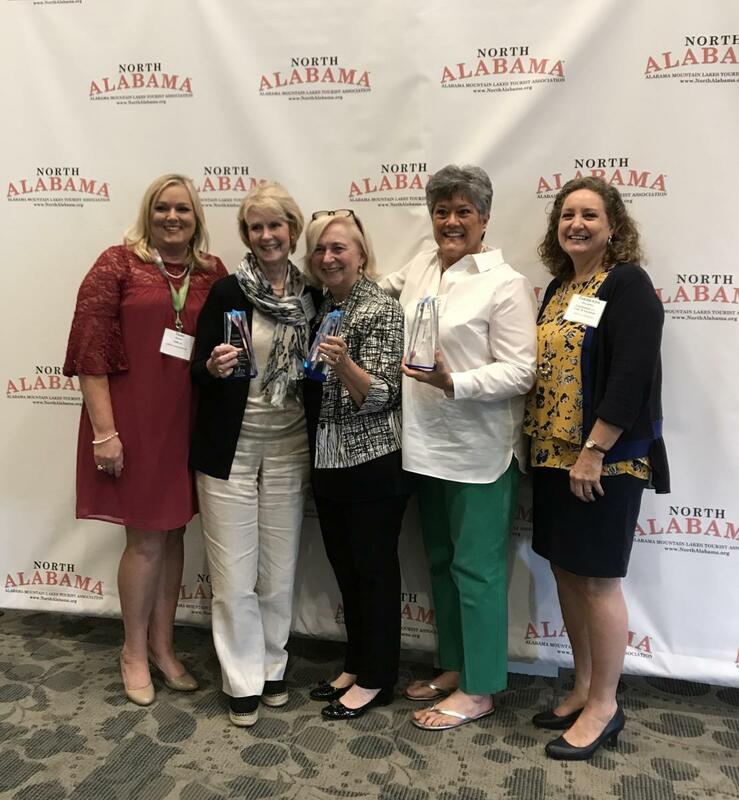 “The PEAK Awards are designed to recognize the best in the North Alabama tourism industry and each of our winners are inspirational examples of those who are focused on making a memorable place for our visitors,” said Tami Reist, President/CEO of the Alabama Mountain Lakes Tourist Association. ● Organization of the Year - Cherokee County Chamber of Commerce. 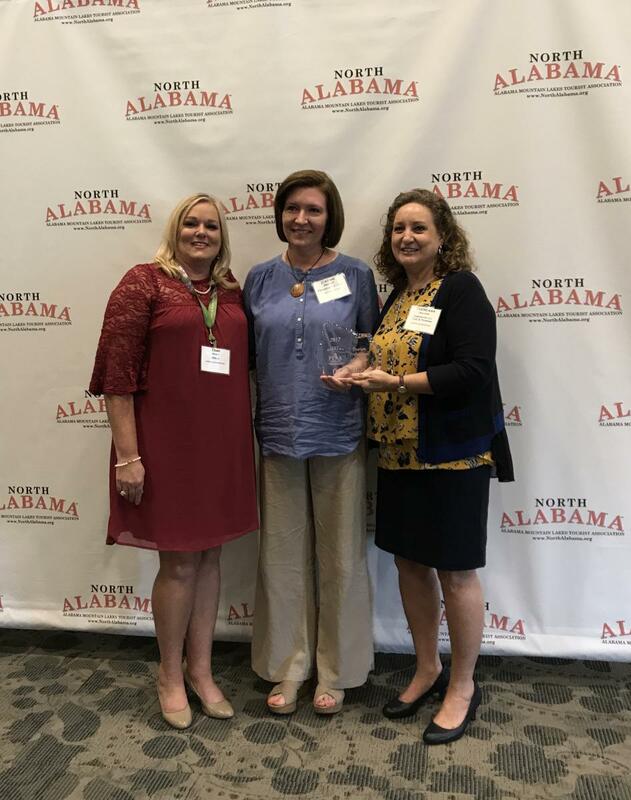 The Organization of the Year award is presented to the AMLA member organization that has contributed significantly to the betterment and development of tourism in North Alabama in the past year. 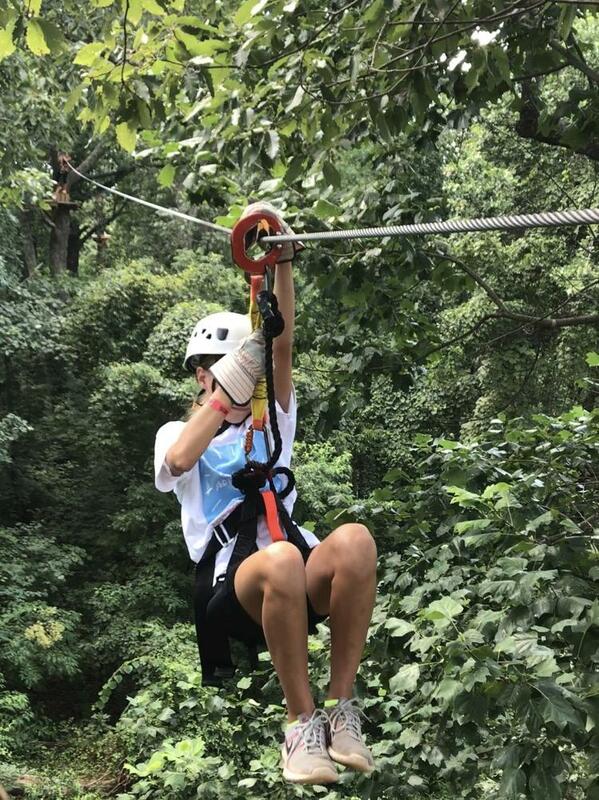 From supporting and sponsoring local events to attending travel shows to hosting travel writers to having an extensive advertising campaign, the Cherokee County Chamber of Commerce demonstrates they understand every facet of the tourism industry. With a staff of three people, the Chamber’s accomplishments for the 2016-17 fiscal year include scheduling nearly 350 meetings with over 34,000 attendees; attended 11 travel, fishing and hunting and retiree shows; assisted six film crews; produced a monthly newsletter reaching over 1,400 businesses and individuals; maintaining a social media presence with a reach of over 17,000 in-network sources and served on various local and regional tourism boards. ● Event of the Year – Mule Day, Winfield, Ala. The Event of the Year award is presented to the AMLA member special event or festival that has made a great contribution to tourism in the past year. From its humble beginnings in 1975 to honor the hard-working, long-eared equine of the day, Mule Day today has grown to be a top festival in northern Alabama, welcoming over 20,000 visitors and 460 exhibitors from across the Southeast. The two-day event has a multi-faceted impact on the local community and surrounding area from revenue generated from overnight lodging, shopping with local merchants and gas stations and dining in restaurants. ● Attraction of the Year – Huntsville Botanical Garden. The Attraction of the Year award is presented to the AMLA member attraction that has made a great contribution to tourism in the past year. Earlier this year, the Huntsville Botanical Garden opened their new Welcome Center to rave reviews. The $16 million facility includes a welcome center, gift shop, café, restaurant and three different areas that can be used for weddings, catered events and conferences. From seasonal events held each year such as the Galaxy of Lights, Huntsville Blooms and Scarecrow Trail to traveling exhibits and unique educational programs, the Garden offers an array of programs and activities for visitors and residents alike. Additional amenities include the nation’s largest seasonal open-air butterfly house and the state’s only Children’s Garden. In 2016, the 112-acre garden welcomed over 276,000 visitors. 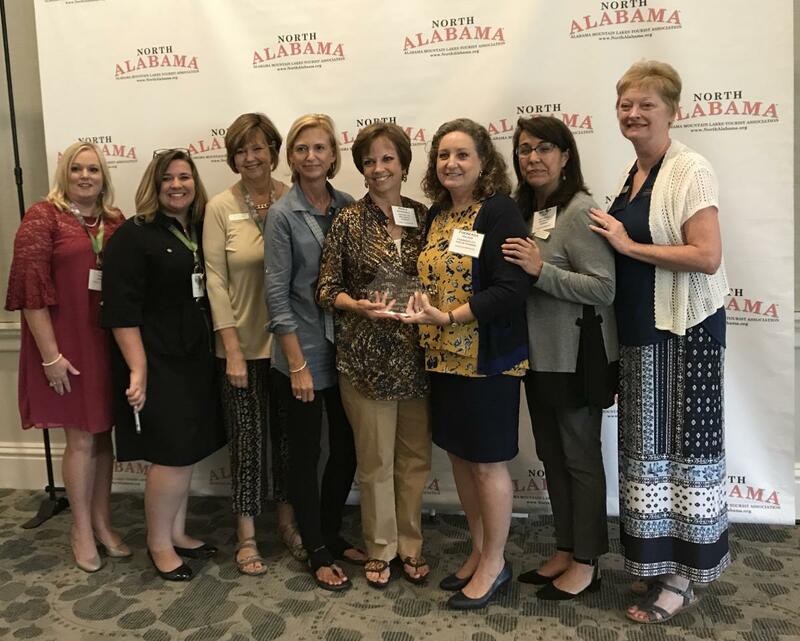 The attraction has also received the Attraction of the Year award from the Alabama Tourism Department and the Small Business Award for Nonprofit of the Year. 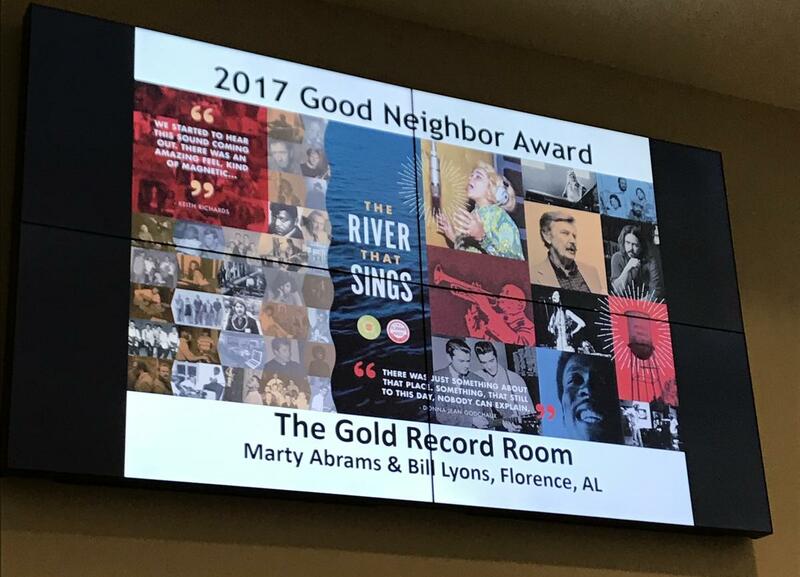 ● Good Neighbor Award – Marty Abroms and Bill Lyons, Shoals Gold Record Room, Florence, Ala. 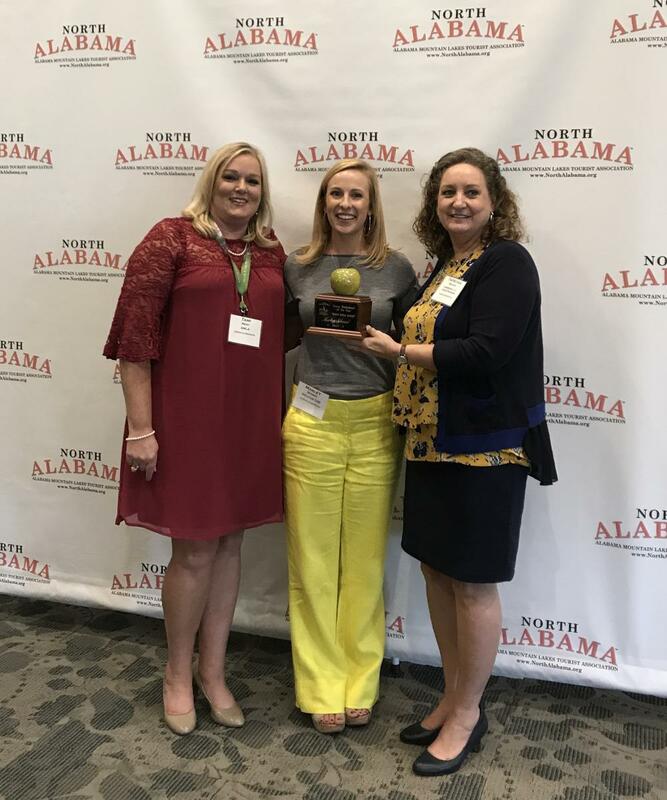 The “Good Neighbor” Friend of Tourism Award is presented to a person or organization whose body of work has had a significant impact on tourism in the past year. As a way to invest in their community, businessmen Marty Abroms and Billy Lyons had a vision for refurbishing unused space in a landmark building located in downtown Florence to promote the area’s music attractions. In 2016, the Shoals Gold Record Room opened and today is a gathering space to listen to free music on the first Friday of each month and serves as a tribute to the people who put the Muscle Shoals sound on the world map. The attraction features numerous gold records that were recorded in Muscle Shoals studios during the past 50 years and memorabilia on loan from the Alabama Music Hall of Fame, as well as Muscle Shoals music items loaned by private collectors. A giant floor to ceiling mural depicts vibrant photos of the Shoals music scene, past and present, and a self-playing piano cranks out Muscle Shoals made music. 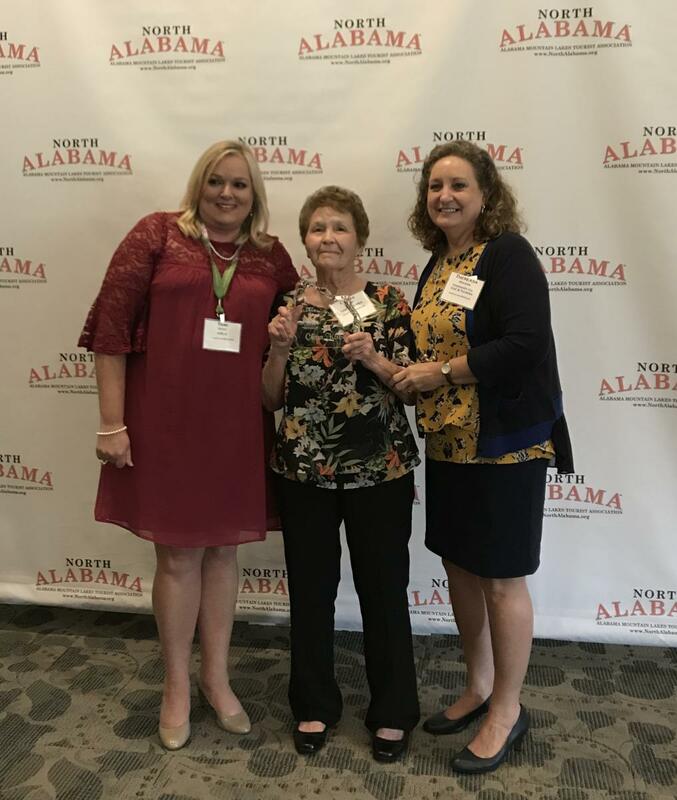 ● Northern Star Award – Clara Kirby, Lawler’s Barbecue, Athens, Ala. The Northern Star Award is presented to an individual, such as a ranger, guide, and a front line employee, who has gone “above and beyond” expectations. Kirby is the smiling and friendly face on the frontline at Lawler’s Barbecue in Athens, Ala. Her hospitality peers refer to her as the epitome of southern hospitality, greeting each patron with an enthusiastic attitude. She is known for thoroughly explaining the menu to newcomers, remembering the orders of regular customers and serving as a tourism voice by promoting area attractions, answering tourism-related questions and providing directions. The Young Professional of the Year “Green Apple Award” is awarded to a person who has been in the tourism business less than seven years and has exhibited extraordinary leadership skills and initiative associated with their position. Schmid joined the Decatur-Morgan County Convention and Visitors Bureau (DMCCVB) as hotel relations and group sales director in November 2015. A graduate of the Hospitality and Tourism program at Auburn University, she interned at an inn in South Carolina and worked at the Doubletree by Hilton Decatur Riverfront before joining the DMCCVB staff. At the DMCCVB, she coordinates the yearly Pop Into Decatur campaign during Tourism Week at the Ardmore Welcome Center and implemented a new bi-monthly coffee talk, a time of informal sharing and networking that promotes unity within the local tourism community. As an addition to local familiarization tours, she created a bingo card program for hotel personnel to encourage them to visit local attractions on their own schedule. She represents Decatur, Morgan County and the North Alabama region by working tirelessly at various travel and trade shows. She brings a creative flair to events by creating unique decorations and themes that go above and beyond and has developed an outstanding hands-on experience for children as chairman of the children’s area for the River Clay Fine Arts Festival. She also has been extremely active in developing programming for the local Young Professionals, promoting Decatur as both a great place to live and visit. ● Tourism Professional of the Year – Cassie Medley, Franklin County Chamber of Commerce. The Tourism Professional of the Year award is presented to an individual or employee of an AMLA member organization who has made a great contribution to tourism in the past year. Medley came to the Franklin County Chamber of Commerce in March of 2012 as the executive director. Under her leadership, Franklin County has experienced a steady increase in lodging taxes, even though there are only a few hotels in the area and no new hotels recently. The Watermelon Festival is an annual event she assists with year round and is experiencing record number of attendees and vendors. She also gives back to the community by serving on numerous boards and committees across the county. She volunteers with Relay for Life, Camp Courage and the Russellville Marching Hundred Band Parent Association, just to name a few. 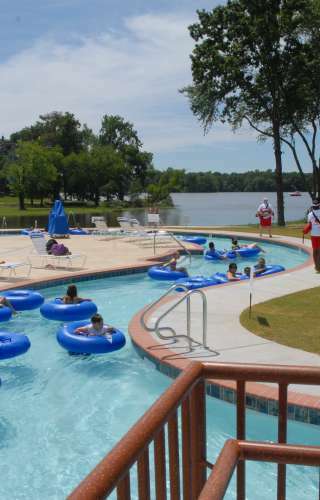 impression” on tourists thereby improving the overall image of tourism in North Alabama. Hood is a marketing/communication professional whose career spans four decades and includes leadership positions at the Times Daily, the Alabama Music Hall of Fame, ECM Hospital, International Paper and now as the chairman of the Muscle Shoals Music Foundation and board member at the Alabama Music Hall of Fame and Business Council of Alabama. 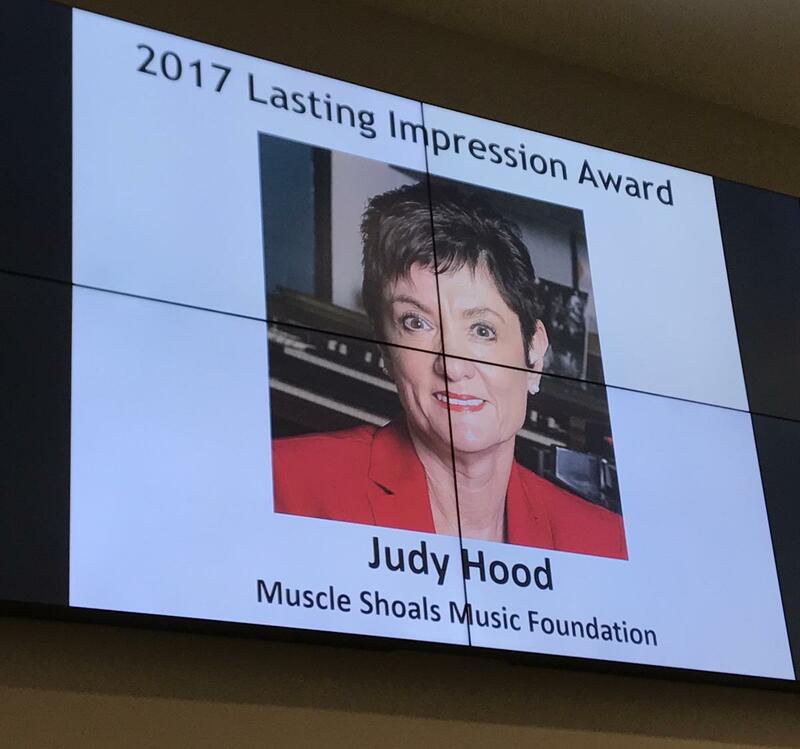 For the past four years, she has been heavily involved in supporting the increased interest in Muscle Shoals music as a result of the award winning music documentary, "Muscle Shoals." She has traveled extensively domestically and abroad to promote Muscle Shoals music and tourism in general. She works closely with the Alabama Tourism Department, the Business Council of Alabama, UNA and the Shoals Chamber of Commerce to promote the area. She currently leads the Swampette Tours, which takes visitors by trolley bus to such Muscle Shoals area music meccas as FAME Studios and the newly renovated 3614 Jackson Highway as well as the Alabama Music Hall of Fame. She was instrumental in the design of the newly opened Shoals Gold Record Room, the GunRunner Boutique Hotel and in the prominent role of the Shoals as part of the Americana Music Triangle. ● Chairman’s Cup – Juergen Beck, Freedom Light Productions. The Chairman’s Cup Award is given annually to a travel writer or media person who has over time demonstrated support of AMLA, the region and its tourism activities. A native of Germany, Mr. Beck was sworn in as an American citizen in 2003, and soon thereafter launched Freedom Light Productions. 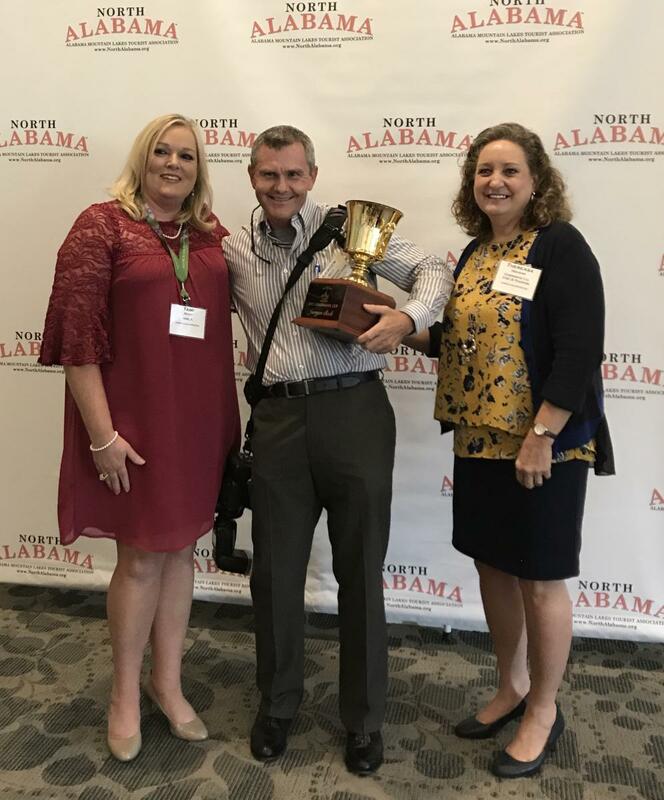 Mr. Beck has created numerous videos for the tourism industry all across northern Alabama and has earned a reputation for producing professional quality and engaging videos. The videos are important marketing tools for the tourism industry in attracting visitors, tournaments and new events to the region. His portfolio includes videos produced for the new Cook Museum of Natural Science, Mentone Arts and Cultural Center, Alabama Mountain Lakes Tourist Association, Dragon Boat Race, Alabama Jubilee Hot-Air Balloon Classic, to name a few. ● President’s Award - Sally Smart, Barbara Kelly and Nell Standridge, founders of the Friends of Delano Park. 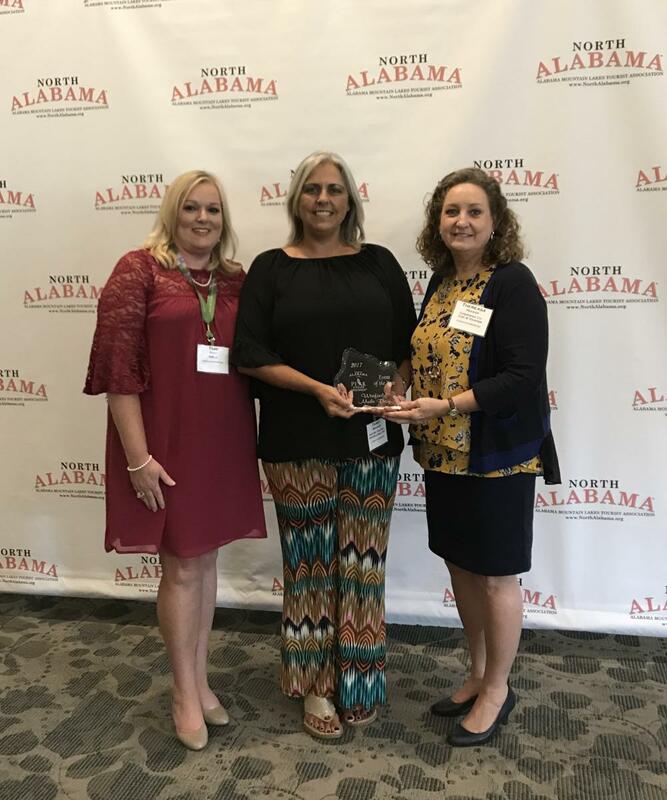 The President’s Award is presented to any person or organization whose tourism-related project created awareness or presented a positive image for North Alabama in the past year. On September 24, 2000, a pioneering organization was founded by volunteers with a premise that believed "Delano Park is a legacy for everyone." Friends of Delano Park was formed in partnership with the City of Decatur with a mission to preserve, improve, promote and maintain historic Delano Park for the enjoyment of present and future generations. One of its main goals is to enhance facilities for children and to make the park accessible for all people. Founding members Barbara Kelly, Nell Standridge, and Sally Smartt work tirelessly year round to make the park enjoyable by residents and visitors. More than 200 trees have been planted. Many of Delano Park&apos;s major landscapes, historic stone structures, walkways, Rose Garden, signage, and facilities have been restored. New benches, signs, walkways, a universally accepted playground, the Riverwild Garden, and a Splashpad have joined the gazebo, walking trail and tennis courts. ● Extra Mile Award – Officer Wesley Swoopes, Decatur Police Department. The Extra Mile award is presented to a person that has gone above and beyond the call of duty. We are so very proud of all our PEAK Award winners. 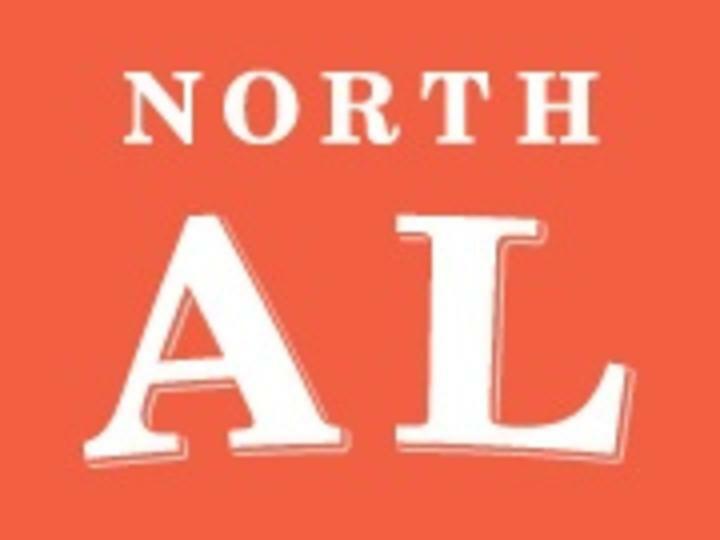 Congratulations and thank you for helping make North Alabama a wonderful region!